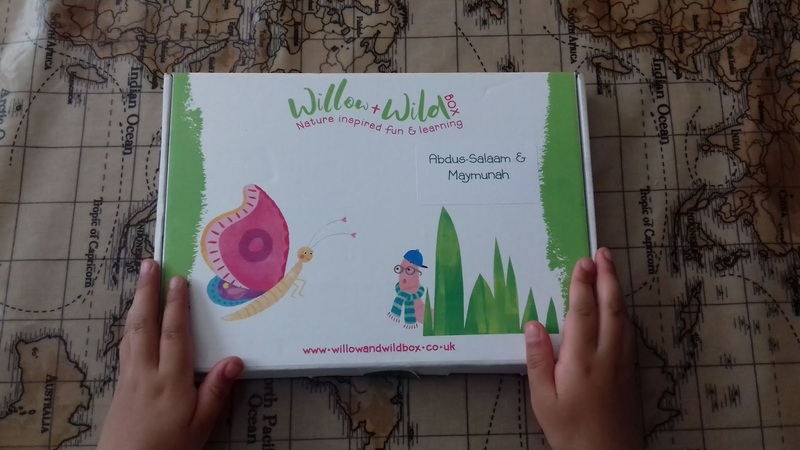 Here is our next Willow & Wild Box! This month's box is Pumpkin & Cactus! 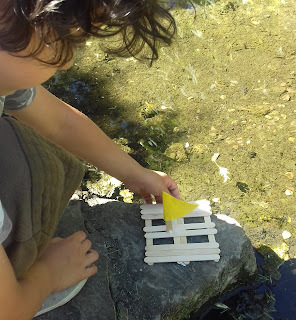 We got all crafty and set our lolly stick boat sail on a stream, became garden bird detectives and spotted some feathery friends as well as sowing more seeds into our little garden patch which is steadily growing. There was also a little extra something in this month's box for the grown ups! A relaxing, fragrant candle, just the thing I needed after a busy day out in the heat sowing our seeds! What a lovely surprise! 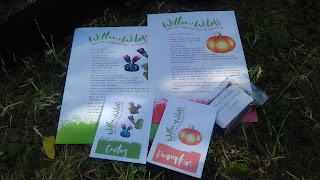 If you missed last month's Willow & Wild Box review then check it out here. Here are the pics from this month's Willow & Wild Box nature fun! 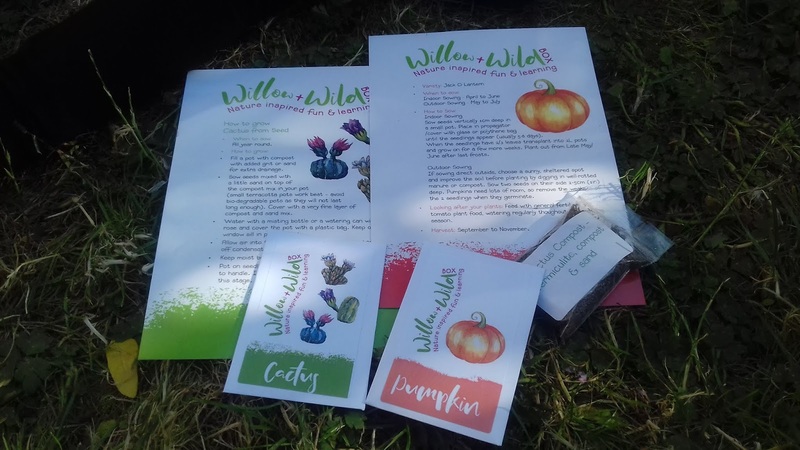 Willow and Wild Box is a monthly subscription box for 3 - 8 year olds, packed full of gardening, craft, cooking and outdoor activities, delivered straight to your door. 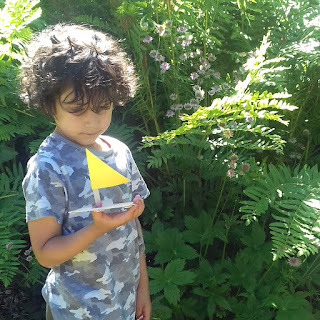 Every box is inspired by nature, with the aim of getting children exploring the outdoors and learning about how things grow, the changing seasons, healthy eating, and animal/plant life-cycles. Their boxes include at least 2 craft projects, vegetable and flower seeds with step by step planting & growing instructions, outdoor activity & inspiration guides, recipe card and much more! If you don’t have a garden, that’s no issue! All the seeds can also be grown in containers, on a windowsill. Subscriptions start from as little as £7.25 per month and make the perfect gift for children too! Our box comes personalised for DD3 & DS6 and as soon as it comes through our letterbox they have their little spades and shovels ready for some gardening fun! 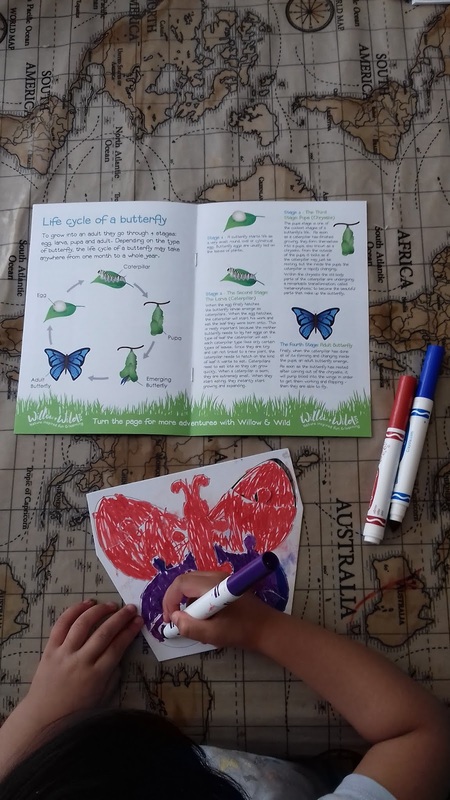 DD3 started by learning all about the Life Cycle of a Butterfly. The activity book came with beautifully illustrated pages which instantly engaged her whilst I read how caterpillars transform butterflies through the different stages of their life. 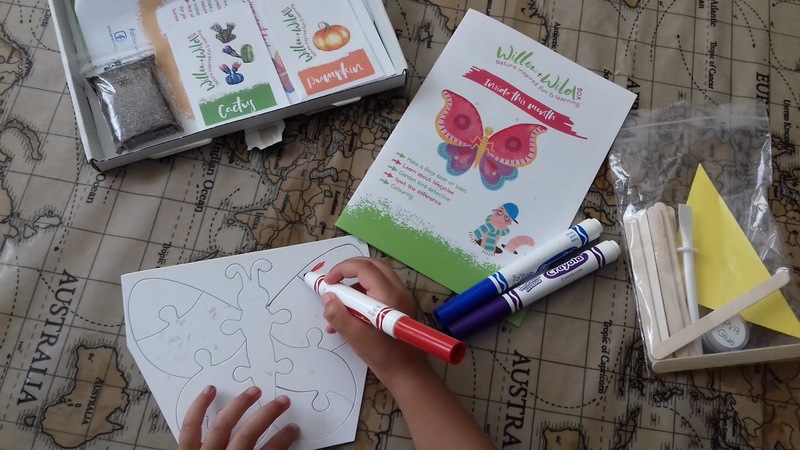 She then coloured in the butterfly jigsaw, trying to make the wings as symmetrical as she possibly could, breaking up the pieces and then attempting to put it all back together. The booklet also contains instructions for the craft activity, a garden bird spotting activity and colour in 'spot the difference'. 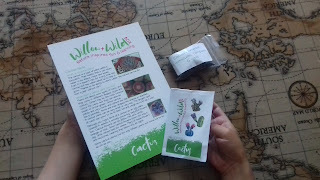 DD3 & DS6 enjoyed sowing the seeds from our last Willow & Wild Box. 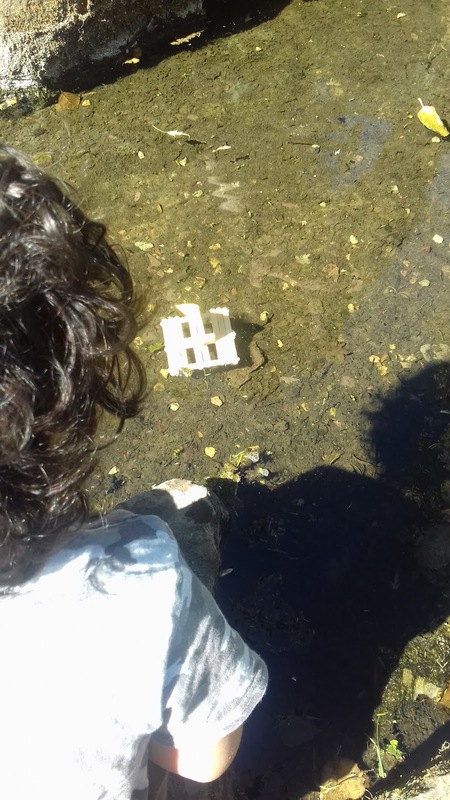 They were surprised to find out what was in store for them in this nature box. They found the best place in the garden to sow their pumpkin seeds and can't wait to try out the roasted pumpkin recipe when we harvest them later in the year. We read the Cactus Facts card together and found the perfect pot to sow our seeds in, using the compost and sand, which is provided in the box. 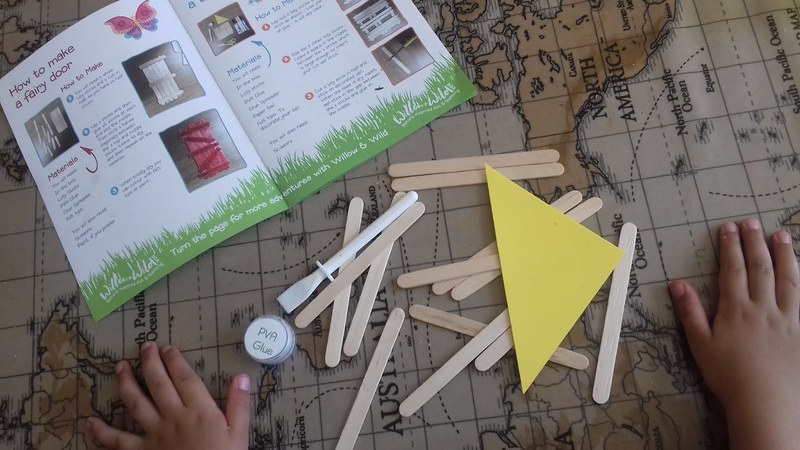 This month's box contains a craft activity where the kiddies can follow instructions to either make a fairy door or a boat. DD3 & DS6 chose to float a boat! They followed the simple instructions which includes photos so they knew exactly how it should look at each stage. 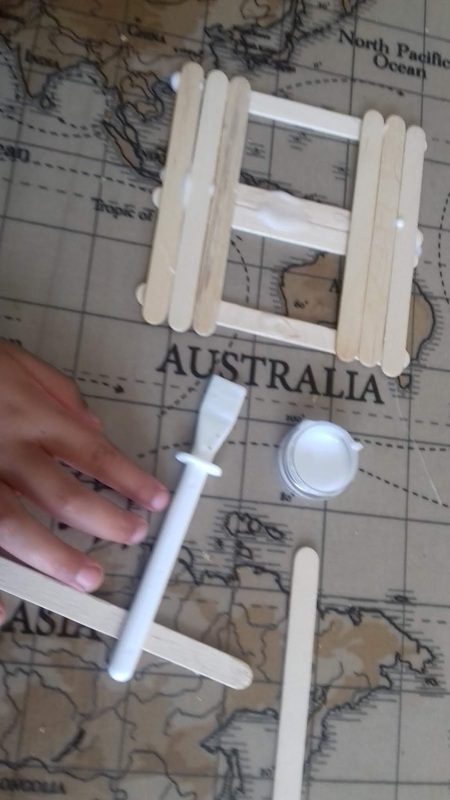 Glue, glue stick and felt tip pens are provided along with all the lolly sticks. 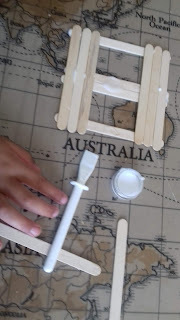 The glue is very good quality as it dried within minutes and our little boat was solid, ready to set sail! 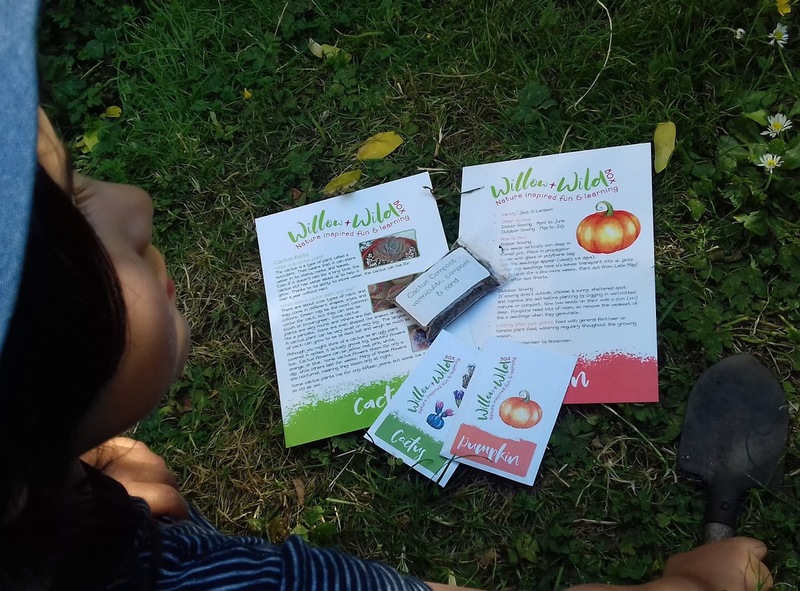 Have you subscribed to Willow & Wildbox? Check out their website here. 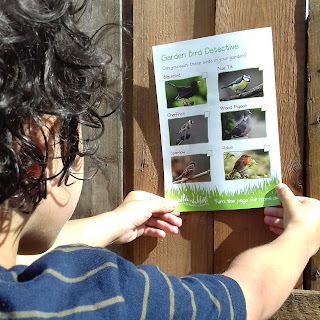 This monthly nature box is packed with activities for all budding nature enthusiasts! It contains everything you need to get straight out in the garden, packed with facts and info that your kiddies can learn along the way, craft and colouring fun as well as extension activities such as recipes to use when you've harvested later in the year! Now we're trying to guess what out next box will contain!! Do you home educate your children? Well great news!! Home educating families can receive 15% off their monthly boxes! Yes, that's 15% off each month! Just add code: HOMESCHOOL at the checkout! Disclaimer: we are ambassadors for Willow & Wild Box. We were sent this box in order to review and all opinions are my own. I home educate my children DD15, DS12, DS9, DS7 & DD4 in Yorkshire, UK. They have never been in the schooling system and Home Ed is just part of normal family life for us! Over the next few weeks I will be publishing a series of guest blog posts written by people, from all walks of life, who were home educated. With my eldest, DD15, having started college this September, I thought it would be nice to hear what other young people, who were Home Educated, have gone on to do. The questions I put forward to them were - How did you find being Home Educated? Where has it taken you and what are you doing now? and What are your plans for the future? Today I have a lovely post to share with you from Beth, who was Home Educated. Welcome to my blog! I home educate my children ages 15, 12, 9, 7 & 4 in Yorkshire, UK. For collaborations, please email us on theworldistheirclassroom@outlook.com Media Pack available on request. We are thrilled to have the opportunity to try out some fun Arabic learning games in our Home Ed classroom! Are your children interested in learning a new Language? or are you looking for something new for the kiddies this Ramadan and Eid? Why not check out these great games?! They are from the online shop Daradam who are the creators of top quality educational resources for parents and teachers. Their inspiration has been taken from the richness of Arab Art, Architecture and Craftsmanship, aiming to instil a passion for the Arab heritage and culture in the hearts of young children around the globe. My children have been learning Arabic since they were very young. We use various books, flashcards and online one to one lessons with native Arabic speakers. When we received this parcel of Arabic goodies in the post they couldn't wait to try them out. Our Arabic lesson became a lovely evening of family fun around the kitchen table, putting the fun back into learning! Home Ed adventures in science around the kitchen table! We are thrilled to be part of Mr Shaha's Recipes for Wonder Blog Tour with Scribble Kids Books today!